Sun Princess has just come out of a major 14-day, multi-million dollar dry dock in Singapore. This upgrade consists of several new features and enhancements for guests to enjoy. The ship’s new coat of paint now also features iconic hull-art commonly found on other Princess Cruise ships. The major upgrade comes as part of the cruise lines’ “Come Back New Promise” which is a commitment of over $450 million to be invested across their fleet. 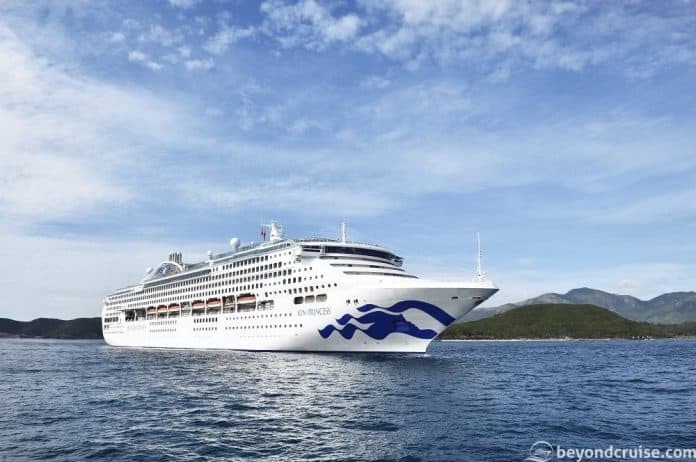 From Singapore, Sun Princess will sail on itineraries in South-East Asia before returning to Australia for the 2019 Winter season. Here she will sail Australia’s West coast and the East coast of New Zealand. These suites are a new premium stateroom that offers exclusive dining and VIP service. Club Class guests will enjoy the new Club Class Dining with extensive menu options and priority embarkation and disembarkation. In partnership with Discovery™, Sun Princess is now offering an innovative new youth centre called Camp Discovery as part of the Discovery at Sea Program. Camp Discovery caters to cruisers aged 3-17 in respective age groups. It’s a place for kids and teens to make new friends, play, create and participate in activities. The shops onboard Sun Princess have been given aesthetic enhancements for an upgraded shopping experience including the branded Effy Fine Jewelry boutique. A range of new products have been added like designer handbags and accessories from Burberry, Longchamp, Coach and Guess. New Princess merchandise can be also found in the newly designed Logo Shop. You can read more about Sun Princess here.